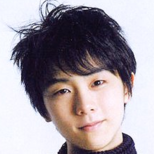 I think the best source to find all of the Yuzu content with the italian esp is ElenaC's dailymotion account (http://www.dailymotion.com/elechicca). Here, for example, they talk about how much it's difficult to do the 'grand slam' (win every competition in a year), and that only Yagudin in 2002 managed to do it, but that Yuzuru "who isn't second to anyone in terms of greatness, and I'm not only talking about this discipline (but in sport, in general)" won GPF, Olys and Worlds in the same year in 2014. Also, Dolfini says it's "incredible" that Yuzuru hasn't won a 4CC Gold medal yet Then they talk about how difficult it is to compare figure skating across the years, because the sport changed immensely. Max is very romantic because he is passionate when he compliments Yuzu. Kurt Browning : Are you an athlete or an artist? "If he's even half way on... Is he beatable? By anyone?" "There'll be nobody that can touch him. Nobody." And THIS: "He's not just out of this world, he's on another plannet!" or something along the line. It's a blind love, thanks! Check around Seimei NHK and GPF 2015 by NBC. She said when Yuzuru is on his jumps are sensational; when he's off his falls are spectacular ! !